Pole/Zero - RFMW UK, Ltd.
Pole/Zero supply co-site interference solutions and Agile tuneable filters for applications to X band. Pole/Zero was formed in 1989 and are based in Ohio USA. They have developed a quite unique capability in electronically tuned RF and microwave filters which they use both in their own rights (as a stand alone tuneable filter) and also in a very specific application for cosite inteference mitigation (called Integrated Cosite Equipment (ICE)). The ICE equipment is based on an analysis of the transmissions around a given platform and providing a solution to prevent interference between the various equipments. 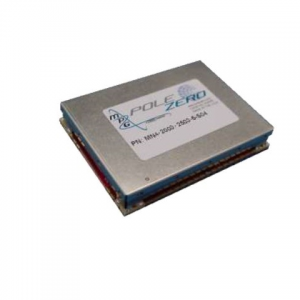 PoleZero now employs more than 180 people in the West C hester facility.and are approved to the ISO9001:2008 standard with AS9100:2009 Rev C.
Typical applications for the tunable filters and the ICE equipment is military although with the growing deployment of complex communications equipment (e.g. 4G / LTE) there are more challenges in the commercial world. 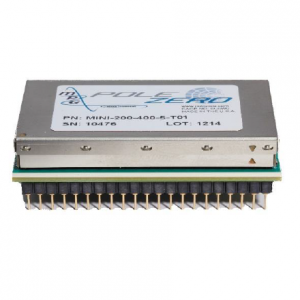 Pole/Zero® designs and manufactures a comprehensive suite of RF interference mitigation products including tunable filters, Integrated Cosite Equipment (ICE), Low Noise Amplifiers (LNA), cosite power amplifiers and other products that are ideal for solving communication problems caused by various types of RF interference. These interfering sources can include self-interference due to collocation of transmitters and receivers (known as cosite interference), intentional jammers, broadband noise, spectral splatter and spurious transmit signals, rusty bolt effects or any number of other sources. Our approach to business and our ability to cost-effectively solve the most difficult interference problems has made us one of the fastest growing companies in our field. The company was founded in 1989 with the belief that the military and commercial RF markets were changing Although military budgets were shrinking, the role and the requirements of the military were not. In fact, one may argue that the role of the conventional military was expanding with the global police force and peacekeeping actions being taken. At the same time, real battlefield situations demonstrated that commercial equipment can provide the sophistication and reliability required in a military environment. Using current state-of-the-art technology we focused on the technological advances of the last couple of decades and applied it to solid-state tunable filters. The result was a leap forward in miniaturization and standardization, permitting a totally self-contained single structure with improved production capability and reduced cost. In addition to these filters, we have developed other building blocks such as low noise amplifiers, cosite power amplifiers, solid-state switches, mixers and synthesizers that now make up a catalog of “off-the-shelf” building blocks. These building block modules are available to the industry as stand-alone modules and also form the basis of the systems we supply. These products share a common attribute in the support of very high dynamic range communications. In 1994 Pole/Zero® branched into the Integrated Cosite Equipment (ICE) field with the development of both an airborne and shipboard filter/amplifier cascade product. ICE integrates elements of our standard product line to achieve enhanced performance beyond that achievable with our basic products. Both of these ICE units are still in production. 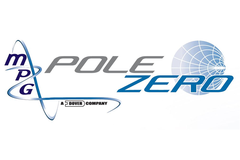 Further, Pole/Zero® has significantly expanded the breadth of ICE products, providing our customers the ability to select optimum cost-effective solutions for their interference mitigation needs. Many of our products are purchased as commercial items, while other customers require modification to the existing products to meet their needs. In both cases, Pole/Zero® provides low risk,cost-effective solutions. Our products can be found in the harshest RF environments on C4ISR (command, control, communications, computers, intelligence, surveillance and reconnaissance) platforms and tactical applications. For the military, our equipment is flying on airborne command posts and jet fighters and is fielded in both ground-fixed and ground-mobile systems. The same hardware is being used in commercial applications from radio telescopes to wireless office communications and from industrial inspection equipment to MRI machines. Applications for our filters range from stand-alone units in a test environment to units embedded in the design of high performance communication equipment. 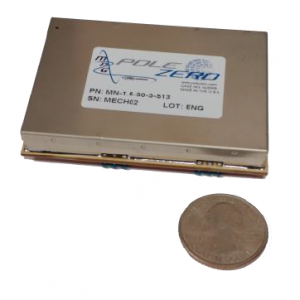 The ICE1006 can be utilized for retransmission (radio relay), frequency hopping (SINCGARS/HQ) or single channel tactical communications, SDR, and test/measurement applications requiring cosite interference mitigation in a small package with high power handling and frequency agile filtering. Potential applications include avionics, UAVs, tactical ground systems and vehicles.